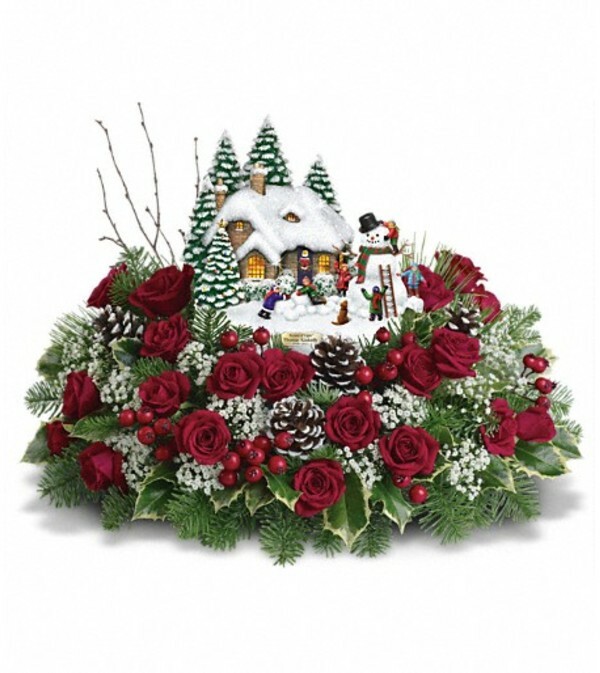 Festive memories come alive with the Thomas Kinkade Winter Wonder light up cottage. 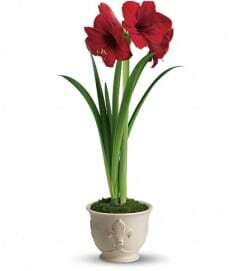 Surrounded by a beautiful arrangement, this wonderful collectible will warm their hearts. 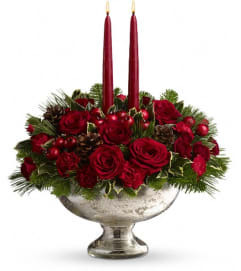 Red spray roses and million star gypsophila are accented by birch and tips of white pine, noble fir and holly. Delivered with Thomas Kinkade's Memorial Winter Wonder collectible.